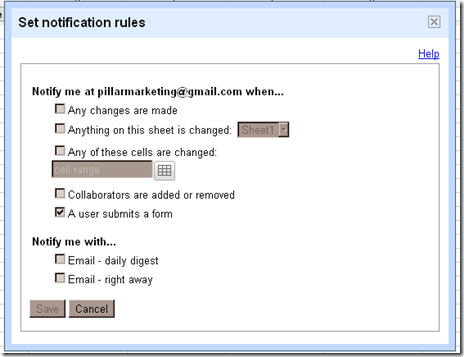 Solution: Can Google Docs forms input be emailed? 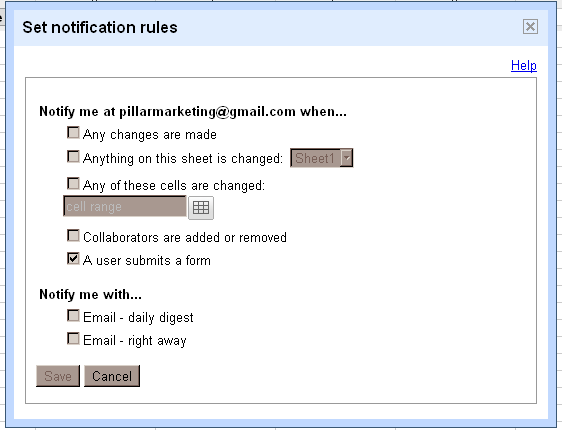 You will find the options to be emailed / notified when someone completes the form. You might also have searched for: how to have google docs forms email you, be notified via email of google docs form completion, etc.